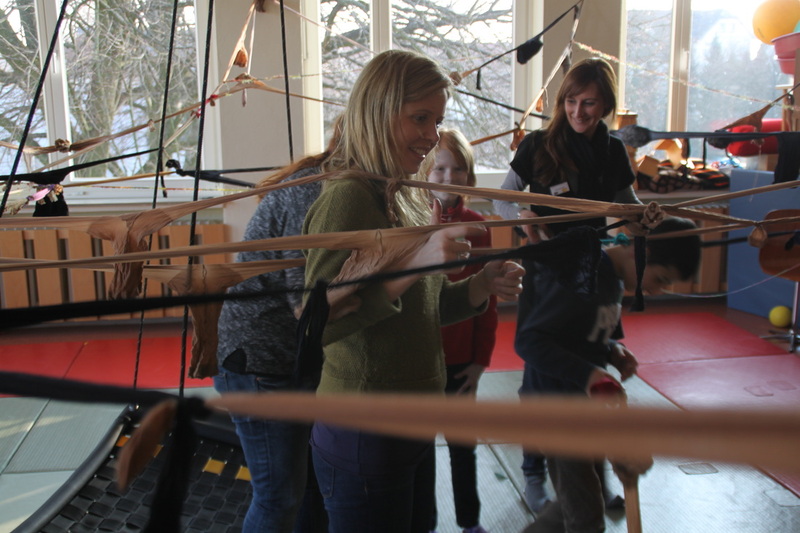 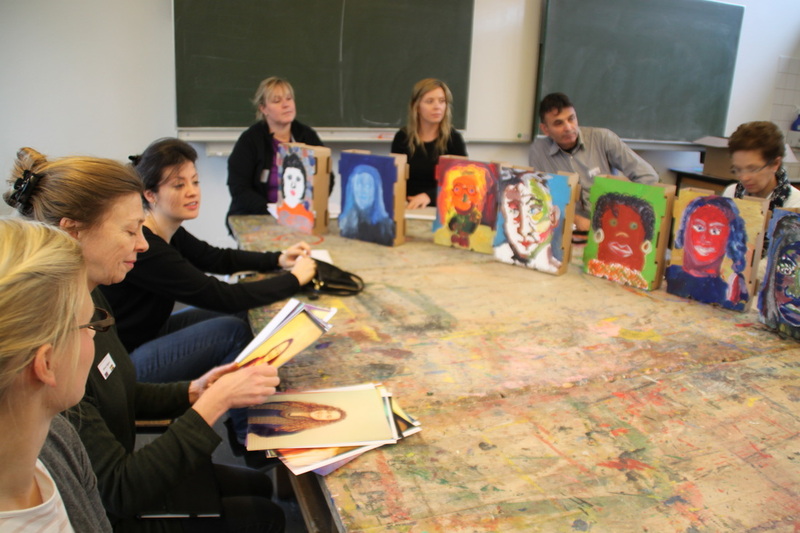 The Ernst-Hansen-Schule in Bielefeld was delighted to host the first international artworkshop with 11 guests from 6 different countries. 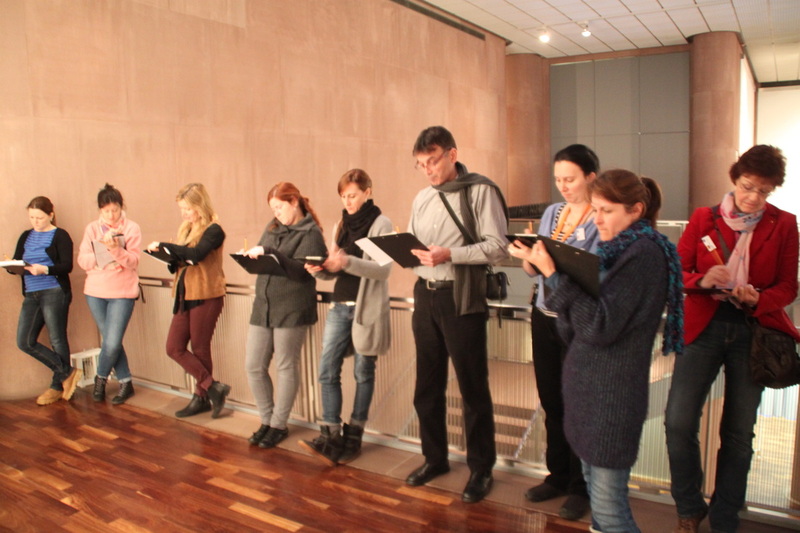 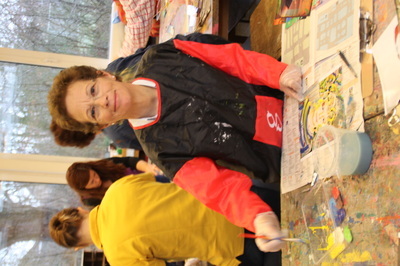 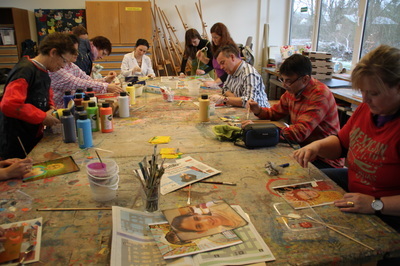 Many different german teachers were able to participate in selected events. 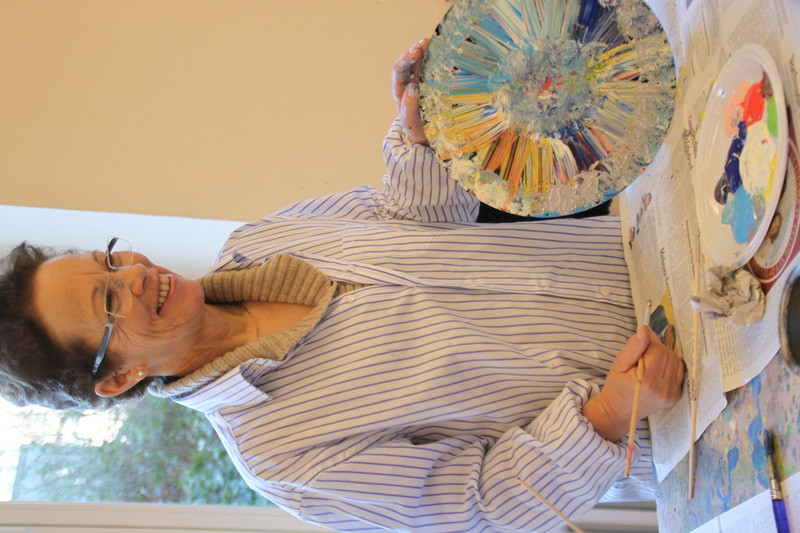 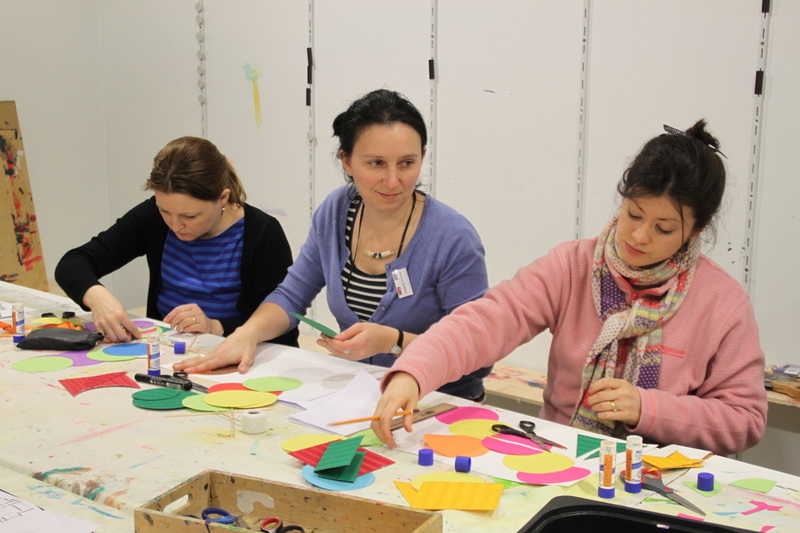 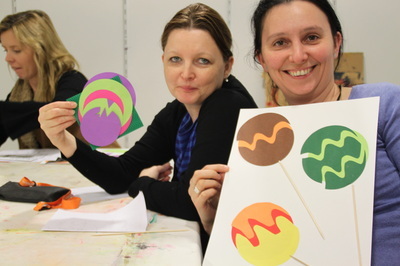 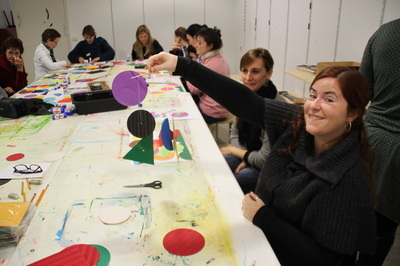 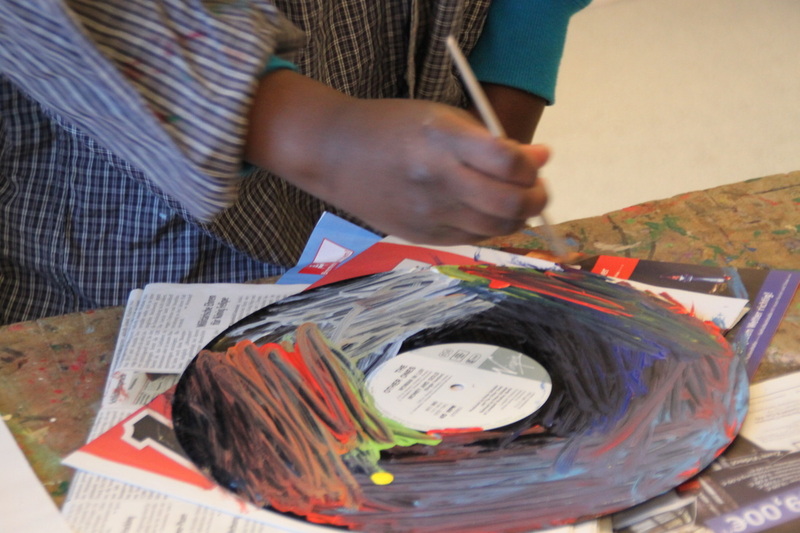 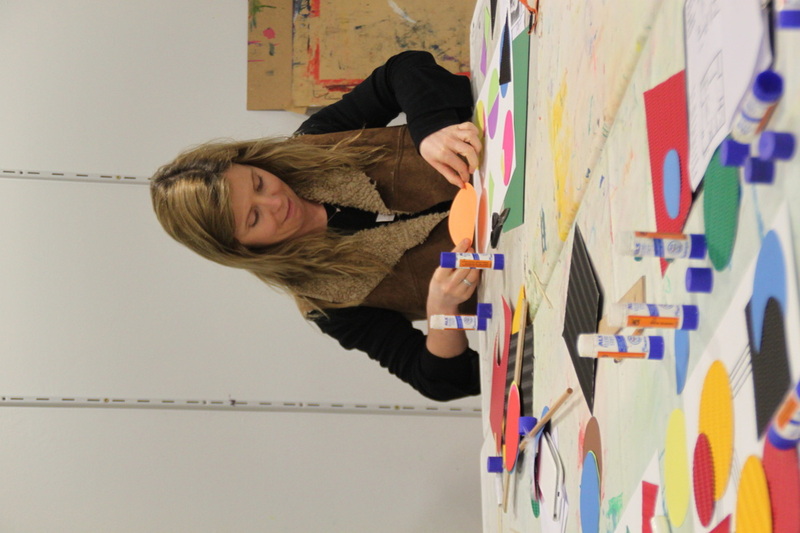 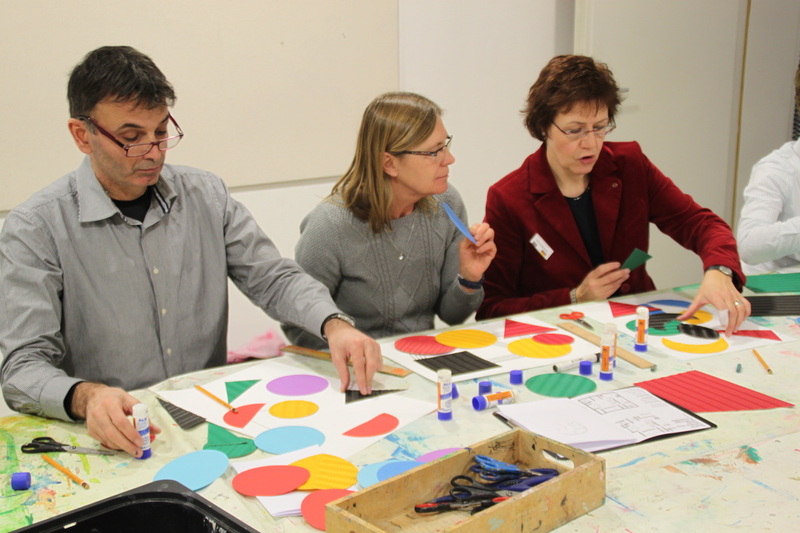 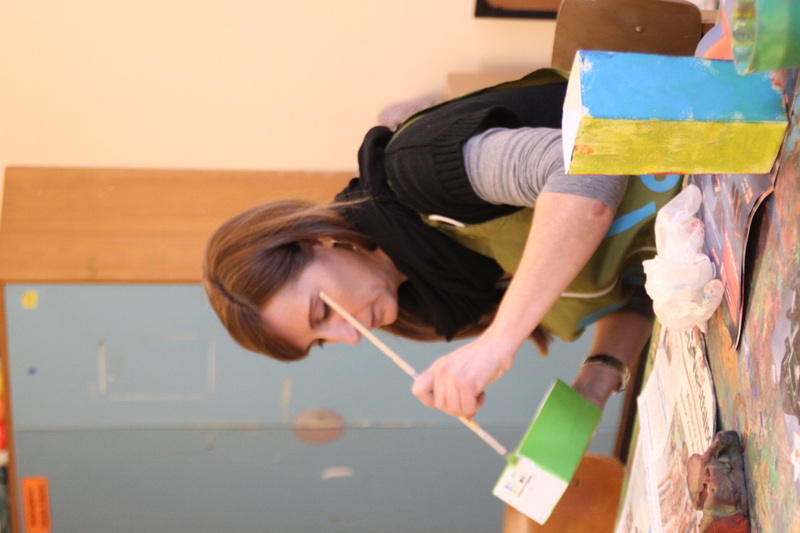 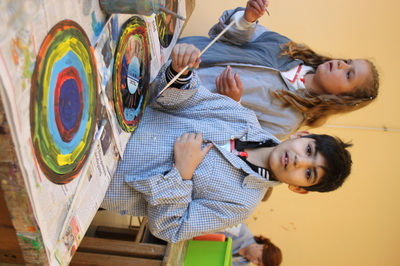 We gathered for 5 days to engage in a creative way, get to know each other and gather ideas to take home into the art classrooms of each country. 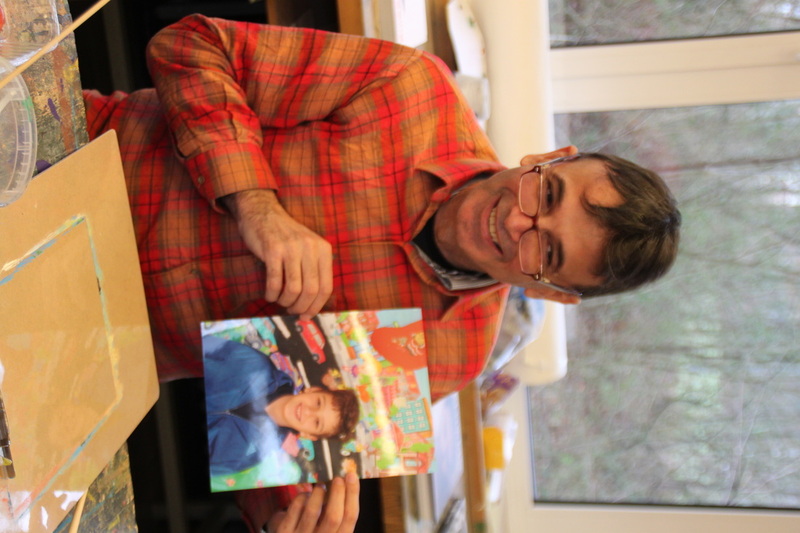 We were very happy to host our former principle and artist Gerwin Heinrich, who designed the main contend of the workshop. If you want to know more about that week, scan through the programm, some background information to two of the workshops or take a look at the two galleries. 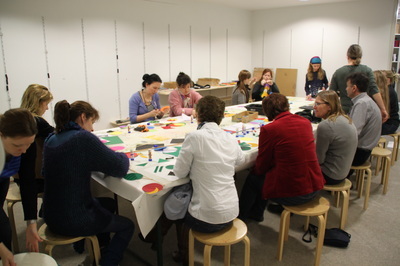 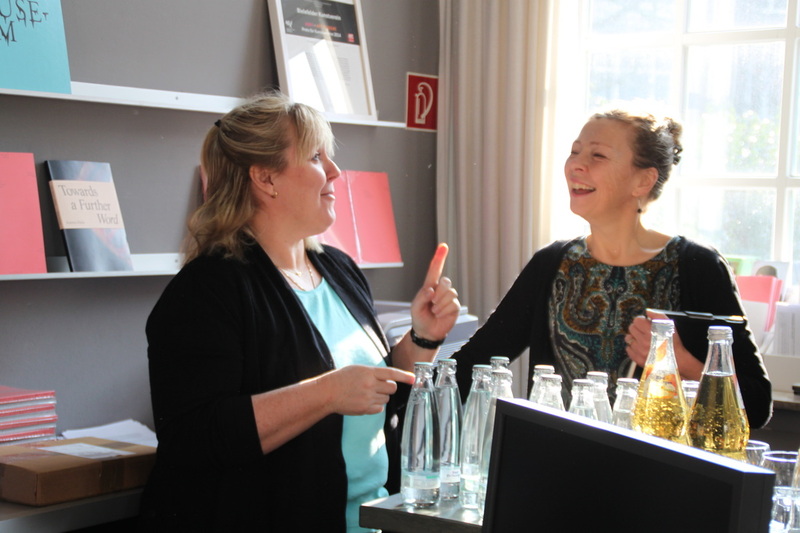 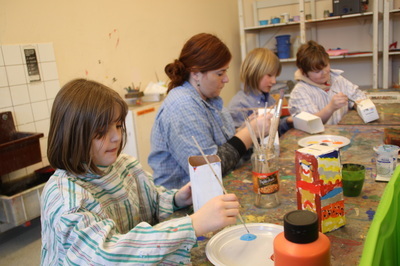 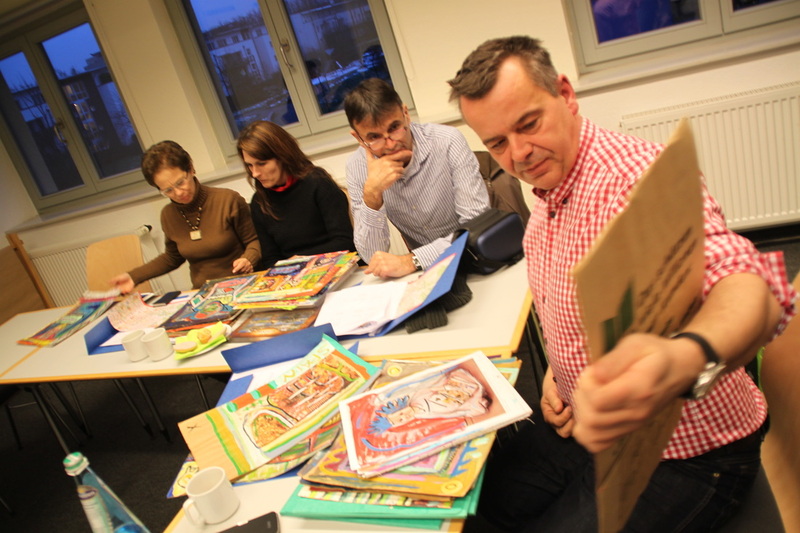 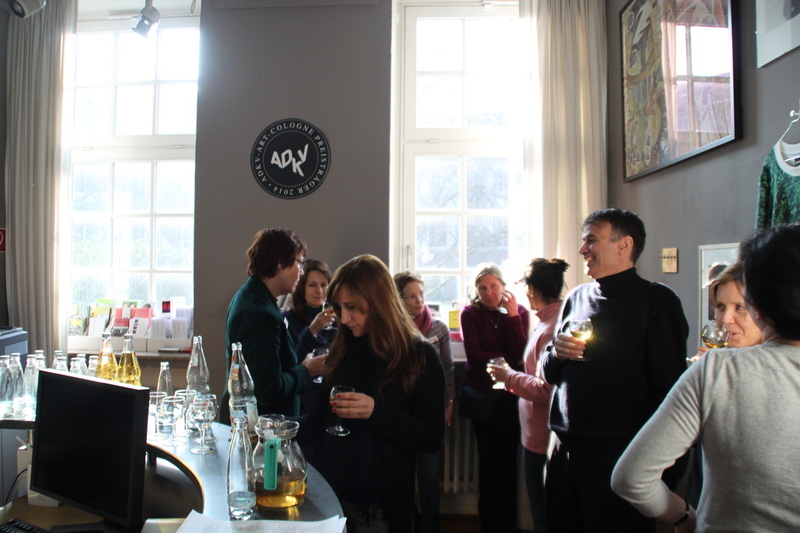 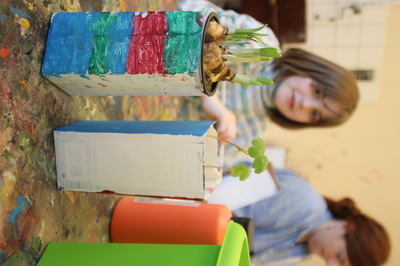 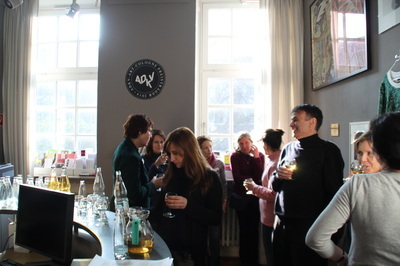 This first gallerie shows pictures of our introduction meeting and of tuesdays programm. 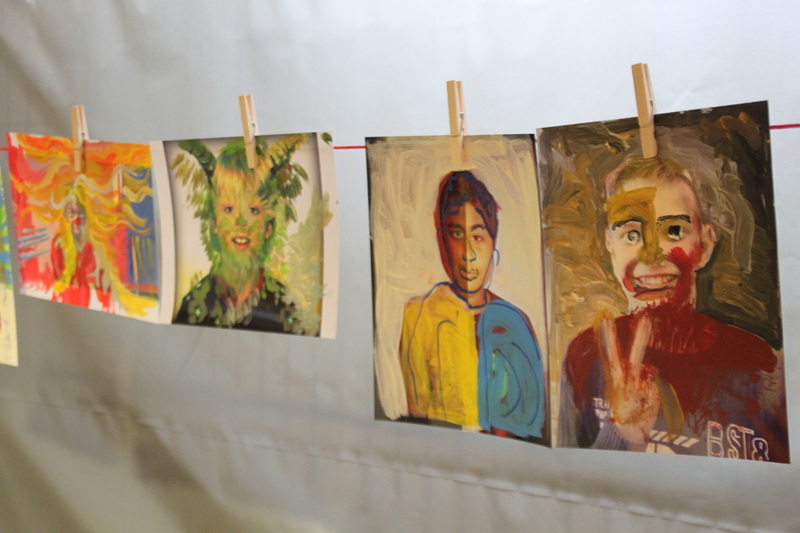 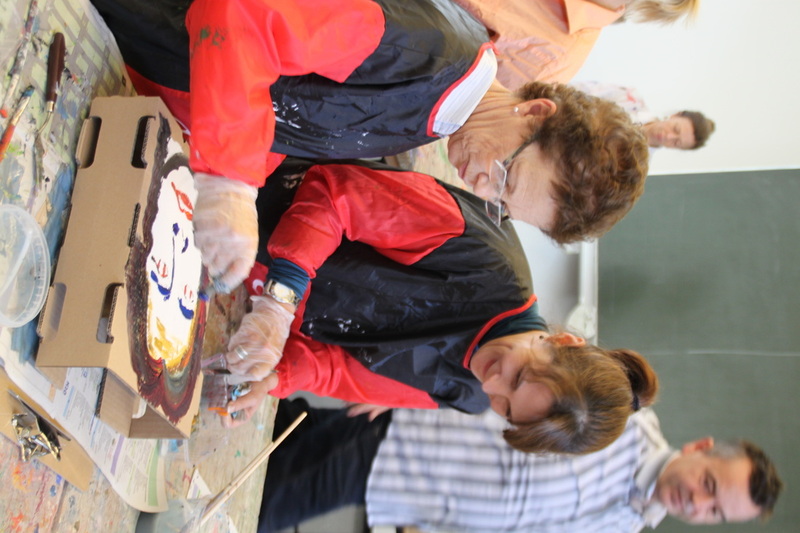 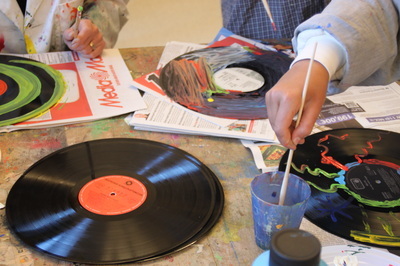 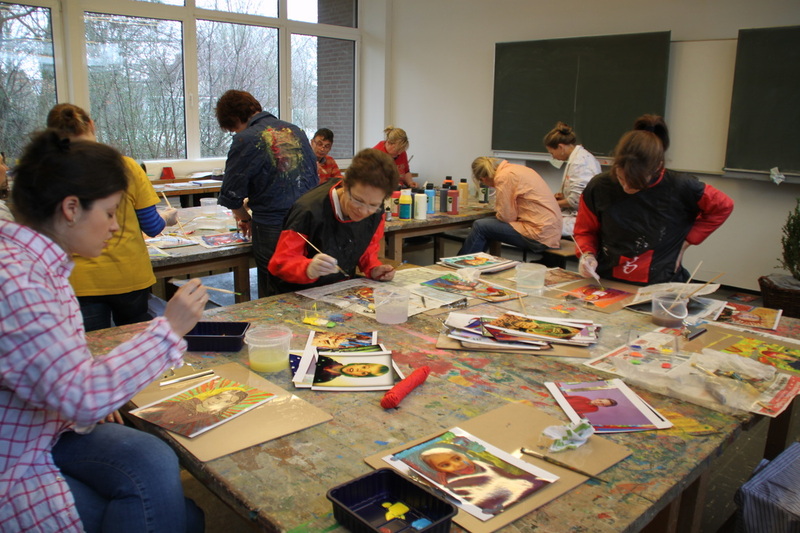 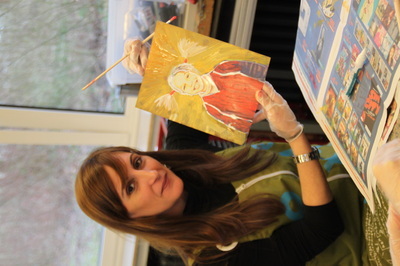 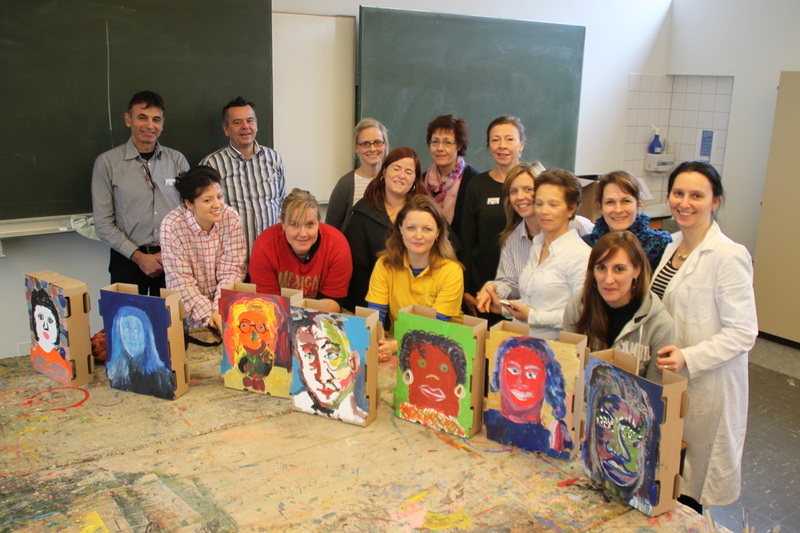 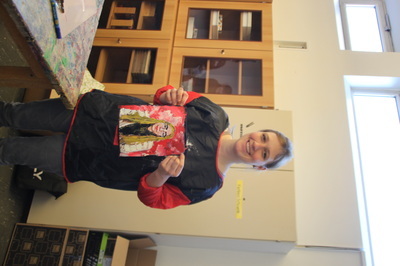 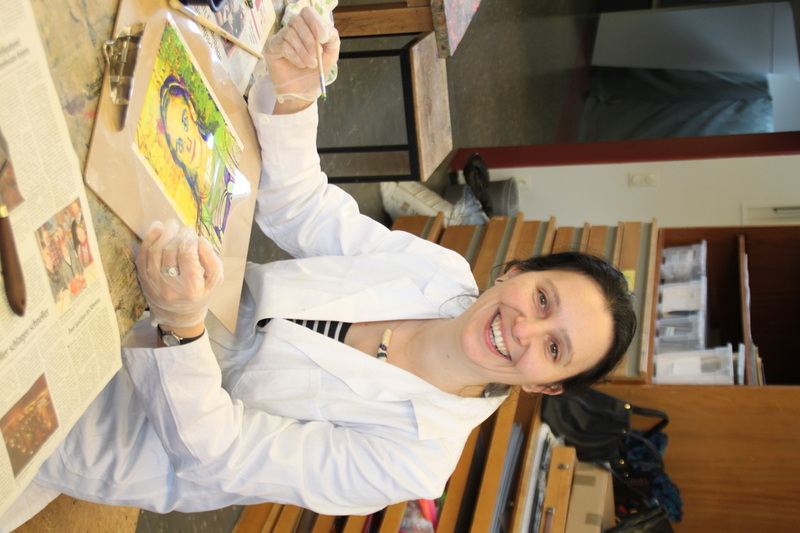 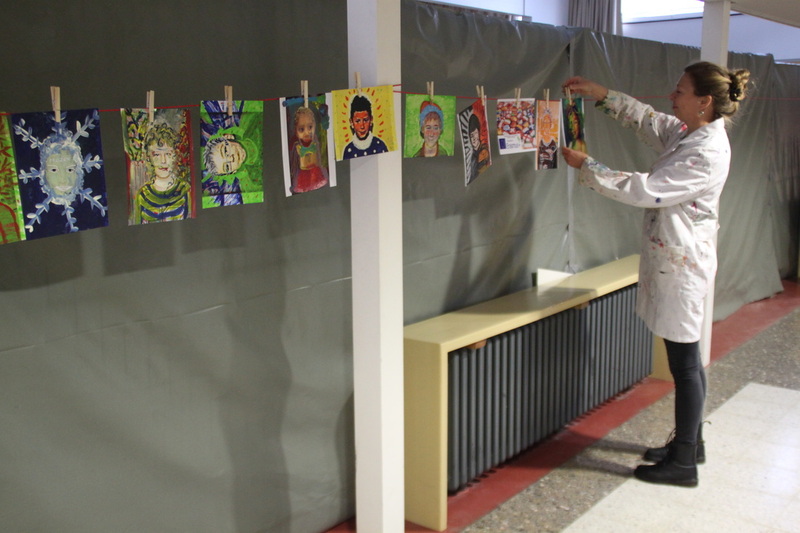 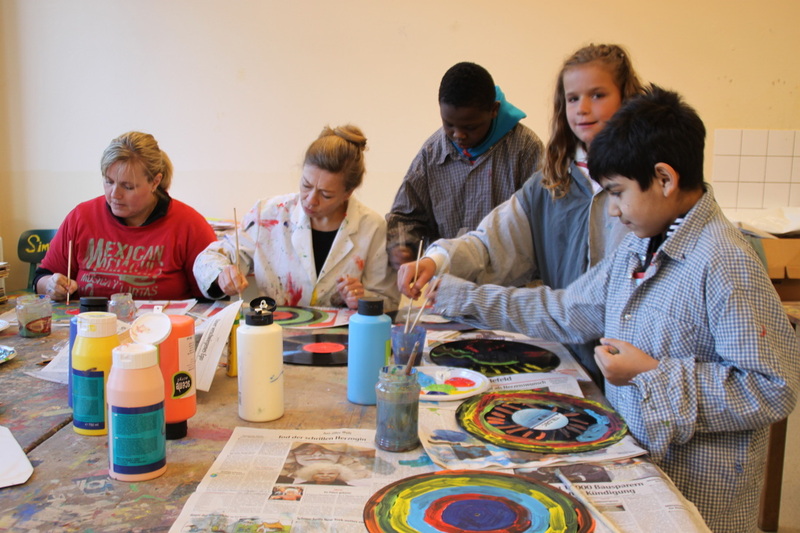 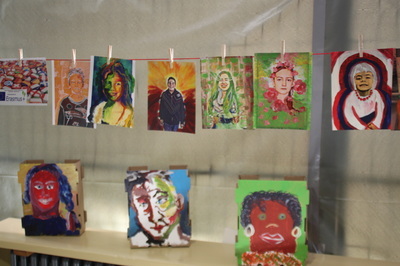 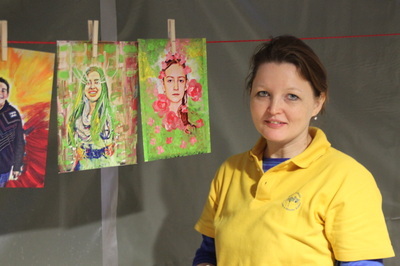 The first workshop on tuesday took place in the Enst-Hansens-Schule Bielefeld.The photos that were repainted by the teachers are portraits of students of each participating country. Read more about some theoretical background on portraits in his pdf file above. 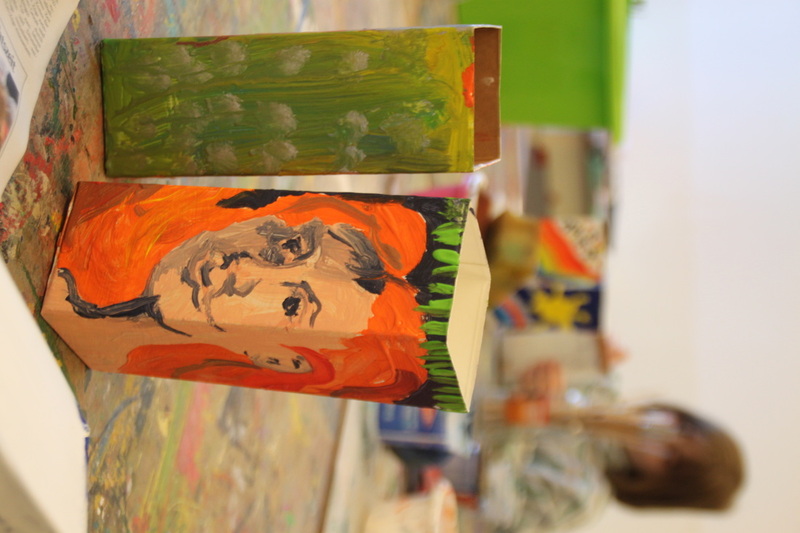 We are looking forward seeing more creative ways of changing the portraits (maybe on our Art Blog? 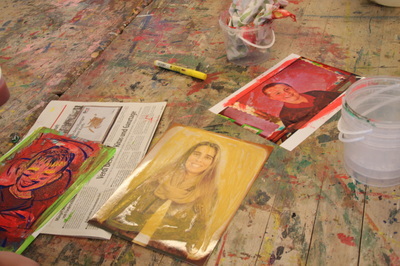 ), since every teacher took a pile of developed photos home to work on with their own students. 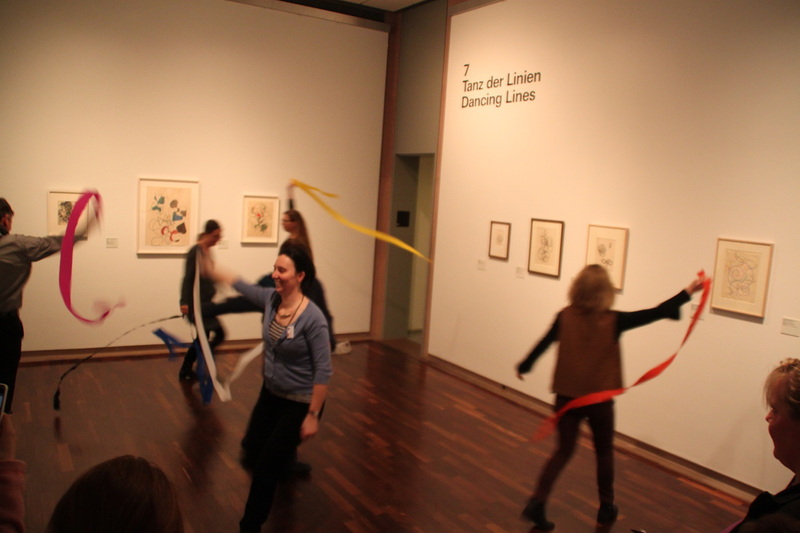 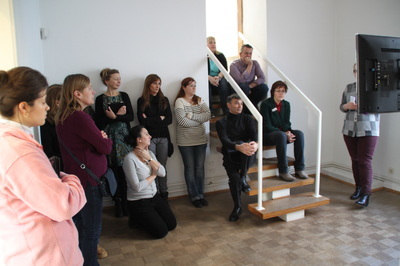 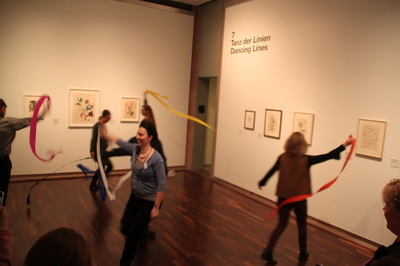 For the second workshop we had booked a guided tour in Bielefelds Art Musem. The tour about Sophie Teubers Art was arranged in an interactive way. A writing task, a scetching task and in the end some practical engagement regarding some of her ideas about shapes and balance. 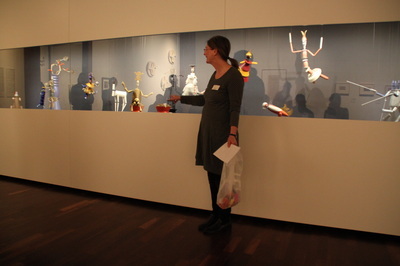 The second gallery gives you an impression of the programm of the other three days. 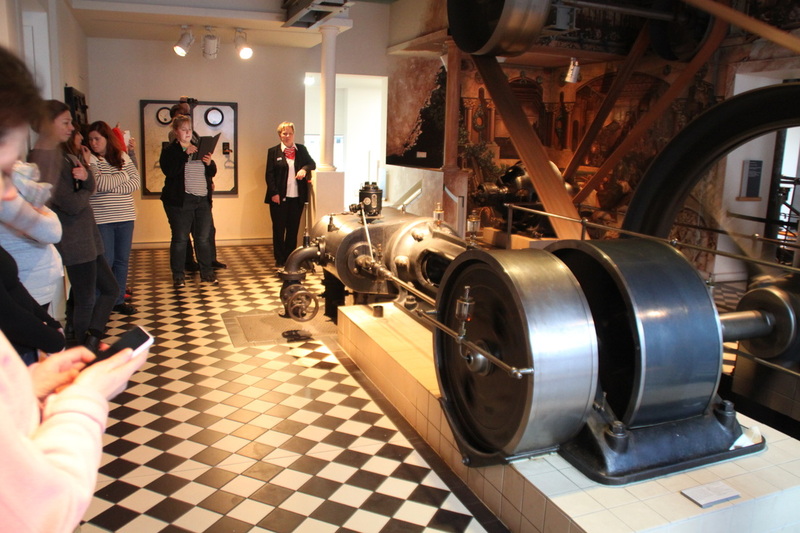 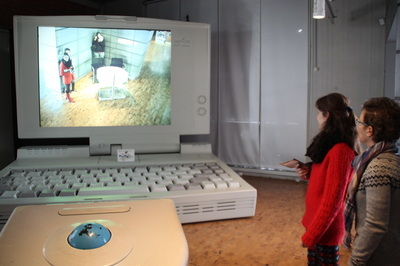 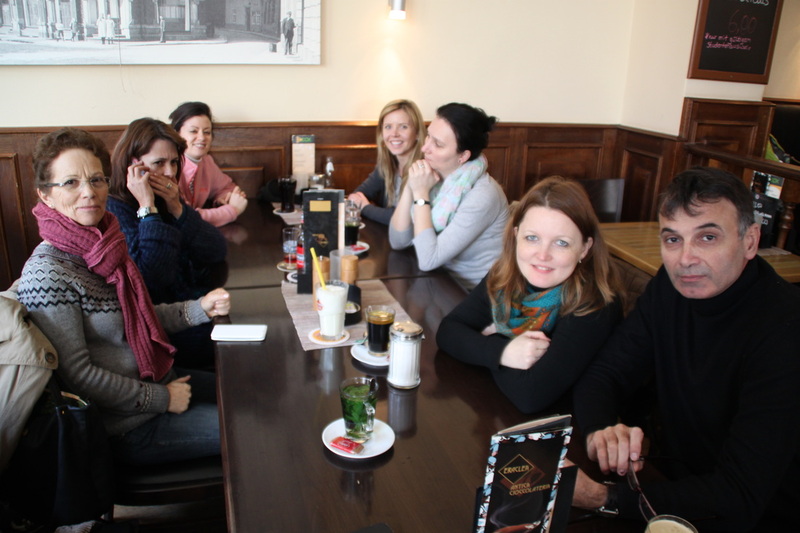 On wendnesday the group went on a daytrip to Dortmund, mainly to see the DASA exhibition. 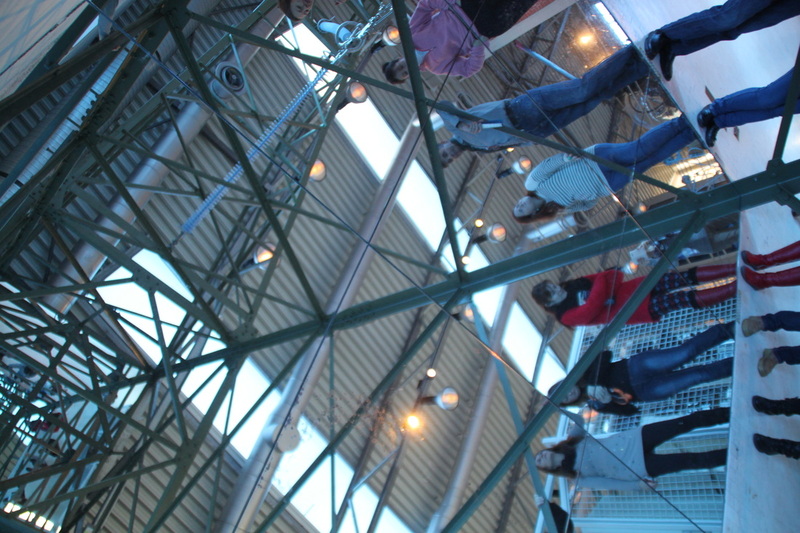 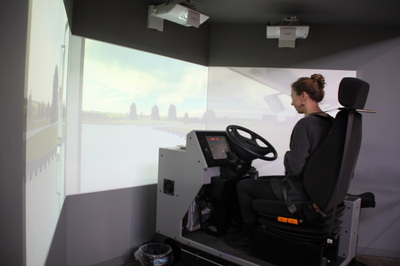 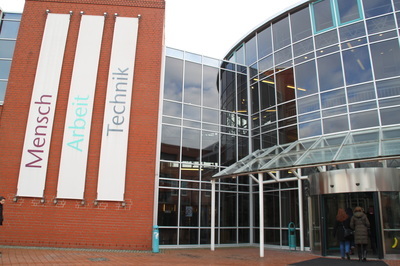 Its name stands for the german "deutsche Arbeitsschutzausstellung", German Exhibition of Occupational Safety and Health. 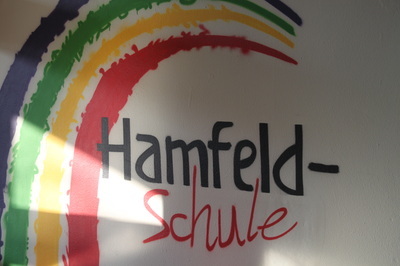 On thursday Gerwin Heinrich invited the group to his recent school (Hamfeldschule, Bielefeld), where he arranged three different workshops on social design. His students joined the group of teachers. Read more about it in his pdf file above. 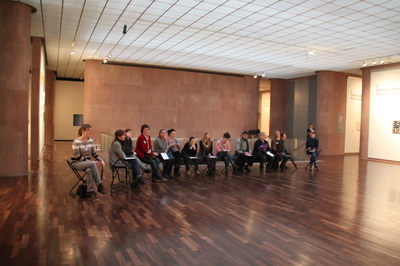 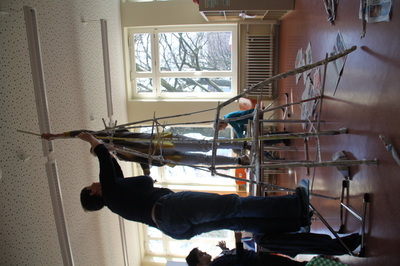 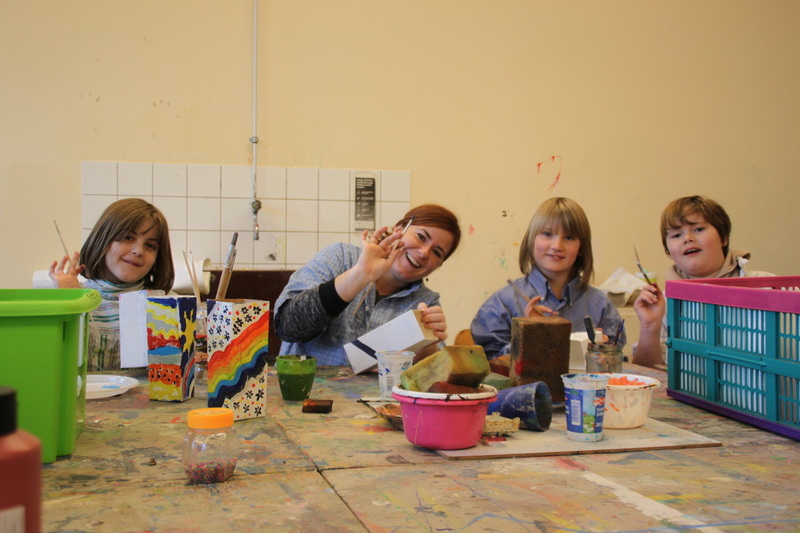 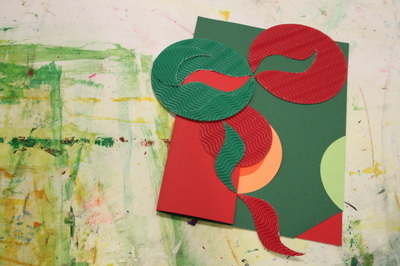 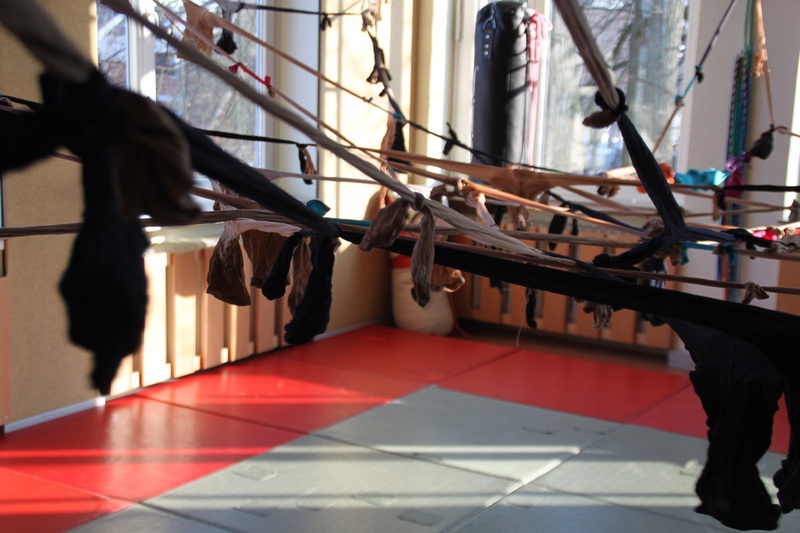 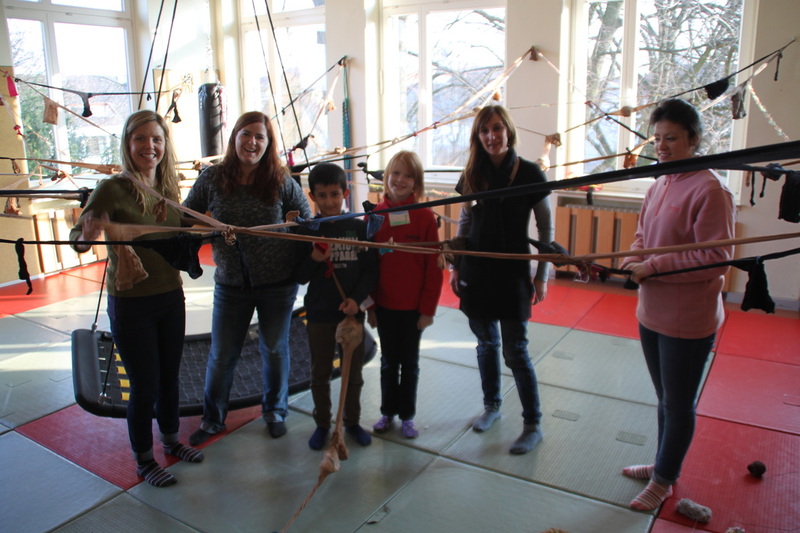 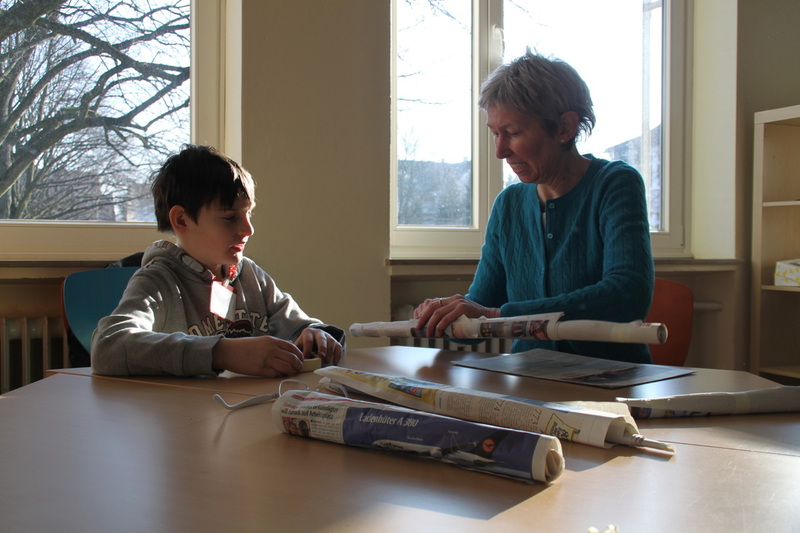 On our last workshop day the Bielefelder "art club" prepared a workshop fokusing on voice, bodylanguage and drama.